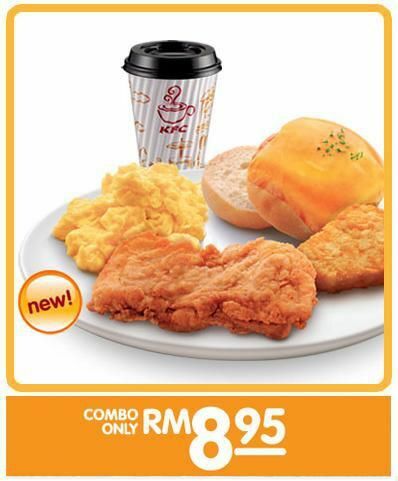 KFC a.m. Platter Combo for only RM8.95 Promotion (RM2 discount)! If you have been starting your day with an empty stomach (for whatever reason), don't do it any more!! Don't let your mama worry. ..
Don't let your girlfriend(s) worry. ..
Never start your day on an empty stomach! From the 19th of September until the 19th of October KFC Malaysia new a.m. platter is available for only RM6.95* that's RM2.00 off the regular price...so good!